With the help of our skilled engineers, we are manufacturing and supplying a range of Heavy Duty Flooring Tiles. These products are also offered as per the customers' requirements and specifications provided by them. Manufactured with the help of hardworking employees using sophisticated technology at our infrastructure. 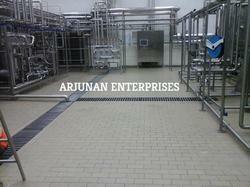 We are instrumental in offering a wide and commendable array of Industrial Tiles to the clients. These products are ideal for providing smooth and attractive floors in industrial areas. Further, the offered range is produced through full body, which are also available in various sizes and standards specified by the company. Patrons can avail this range according to their requirements. 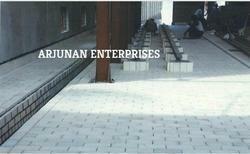 With the help of our skilled engineers, we are manufacturing and supplying a range ofHeavy Duty Flooring Tiles. These products are also offered as per the customers' requirements and specifications provided by them. Manufactured with the help of hardworking employees using sophisticated technology at our infrastructure. Looking for Heavy Duty Flooring Tiles ?